Spigot spring, part number: 5,SL310000685 .. Spigot spring, part number: 5,SL320001401 .. 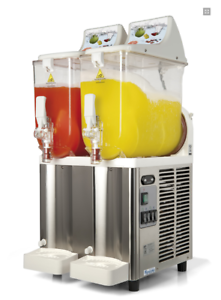 Tap cap for slush machine, GPG, granitime part number 14 Part number: .. Tap pull handle white SL300951606 (suitable for GHZ 228 RP machine) ..
1xTap Spring Cap SL3GS82013A .. Tap Spring Cap white SL300951601 (suitable for GHZ 228 RP machine) ..